Adobe Creative Suite 6 Design Standard combines leading tools for professional print design and digital publishing. Create amazing pictures and images in a blink of an eye with the help of innovative features and the leading painting and drawing tools as well as many creativity effects from Photoshop and Illustrator. With Adobe InDesign you can create high quality print layouts with an advanced typography and high quality eBook designs meeting all the highest EPUB standards. Releases on iPad and other tablets are just as easy to manage as for print*. Get the experience of creativity, freedom and precision. Get impressive results with the leading software solution for image processing. You will experience the highest level of precision and freedom on your individual work to let your creativity reach its maximum. Experiment with multiple and diversified special effects and brushing tools. Make your work even more interessant with video clips. Combine videos and static pictures and effortlessly add your desired special effect. Create high quality vector graphics for symbols, illustrations, advertisement, wrappings, signage and a lot more. With precise drawing tools and brushes for different techniques you will get amazing designs. Precise control over typography, implemented tools for creative special effects and a smart interface – all that will make your work comfortable and get you high quality results. With InDesign you can also create impressive content for iPad and other tablets. Add some interactive elements such as zoom effects, slideshows, audio and video. 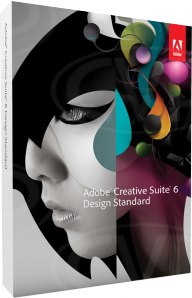 Publish your work easily with Adobe Digital Publishing Suite***. InDesign and Adobe Acrobat X Pro will give you some special features to check on possible mistakes and problems before releasing your work. With Acrobat X Pro you can quickly create PDF files or even whole portfolios with layouts, drawing, pictures, audio, video and others. Use the full power of current Windows and Mac OS systems. Photoshop and Illustrator now support native 64-bit systems to make your work even greater and faster. Adobe Bridge shows you thumbnail previews instead of just the names. This will ensure an efficient search. Photoshop and InDesign both work with Adobe Mini Bridge. ***Access to certain functions and services that are connected to Adobe Digital Publishing Suite require an account. ****InDesign creates eBooks with audio, video and other advanced features based on EPUB3 and HTML5. EPUB3, HTML5, Multimedia and Double-Byte languages such as Chinese, Japanese and Korean are not compatible with all devices and browsers.